The ideas of the ruling class are in every epoch the ruling ideas, i.e. the class which is the ruling material force of society, is at the same time its ruling intellectual force. The class which has the means of material production at its disposal, has control at the same time over the means of mental production, so that thereby, generally speaking, the ideas of those who lack the means of mental production are subject to it. Robert Manne has done everyone who hates the right-wing, hysterically partisan and mendacious editorial approach of The Australian a considerable service. In the latest Quarterly Essay he has compiled a dossier of some of the Murdoch paper’s most egregious crimes. It is a testament to his scrupulous attention to detail, wide-ranging knowledge of the issues involved and commitment to concretely uncovering systematic (rather than incidental) biases that the paper’s collection of responses by its editorialists and opinion writers limps along using isolated anecdotes and non sequiturs against mountains of evidence marshalled by Manne. The jury is in, and The Australian is indeed a thoroughly one-eyed beast. It is happy to create the news rather than report it; prepared to sully the names of academics and bloggers and to bring down Prime Ministers; keen to prosecute ideological wars in the service of military adventures as well as to whitewash historical oppression. And it is a newspaper eager to undermine the case for climate action by promoting irrational, anti-scientific denialism. It has not only run highly partisan campaigns against the ALP but also committed its resources to having the Greens ‘destroyed at the ballot box’. Having been a former subscriber and still frequent reader of the paper, many of the stories Manne tells in Bad News: Murdoch’s Australian and the Shaping of the Nation were not ‘news’ to me. Indeed, I can say that I’ve twice had the honour of having my writing subjected to the paper’s ridicule in the Cut and Paste column, which Manne calls its ‘daily compendium of spleen and schadenfreude’. I was, however, left feeling sick to my stomach by his detailed exposition of the vicious campaign run against Indigenous academic and activist Larissa Behrendt after her inopportune tweet was held up as Exhibit A in a character assassination of almost incredible proportions. I had heard the outlines of the story at the time, but not realised the depths to which reporters (especially former Leftist Patricia Karvelas) had sunk to smear Behrendt both professionally and personally. Yet, and there has to be a ‘yet’, the power of Manne’s factual deconstruction of The Australian’s trajectory is not matched by his explanation of why it is the way it is. So when he comes to the conclusion that it needs a new owner and editor-in-chief he does so because he has abstracted the paper’s behaviour from any wider analysis of how the news media works. Of course Manne is a professor of politics, and not a lecturer in media studies, but his account is remarkably atheoretical, not just in terms of analysing media behaviour but the also social circumstances that have provided the backdrop for the paper’s aggressive interventions. More correctly, it is not ‘atheoretical’, but lacking a theoretical toolbox sufficient to navigating what has been happening. 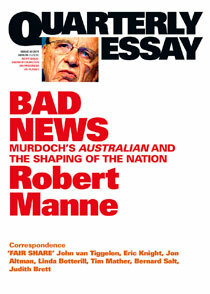 In one of the best reviews of Manne’s essay I’ve read, Tim Dunlop suggests that a series of weaknesses – the oddly limited ‘solution’, the softness of any critique of other mainstream media, and the paucity of analysis of the ‘political class’ that Manne identifies as disproportionately reading The Australian – are related to Manne’s position as a member of that class. Maybe the problem with the media is not specifically about The Oz, but the nature of wider relations of influence and power in Australian society. Manne decided to write the essay a year ago. He could not have foreseen the massive crisis into which Murdoch’s empire was to plunge more recently, although he does cover it in some detail. What is telling is how the phone hacking scandal has had quite different impacts in the UK and Australia. Here the response from the Left – the charge led by Bob Brown – has been to raise questions about issues of ‘privacy and ownership and bias’ within calls for a thoroughgoing parliamentary inquiry. But in the UK, while these three issues have been important, what has been more important is the exposure of the cosy, practically incestuous, ties between the tabloid press, the corporate elite, politicians and the police. This has caused serious damage to the legitimacy and stability of those institutions. The crisis has enveloped Murdoch and his cabal, but also cast a pall over the Cameron government and directly contributed to the leadership vacuum in the Metropolitan Police during a major outbreak of rioting. For politicians more generally, with their image already sullied by a parliamentary expenses scandal, their willingness to submit to a constant quest for approval from Murdoch as the only sure pathway to electability exposed just how impotent they considered themselves in the face of corporate power. There is little sense of such links being drawn by Manne, and indeed little sense of why The Australian under Chris Mitchell’s editorship would so dramatically break from the ‘usual’ function of a newspaper in a liberal democracy. But herein lies the rub, because Manne is operating firmly within the limits of his implicit theoretical framework, a type of political liberalism. To use Dunlop’s words, a newspaper is normally understood as ‘a vehicle for the objective dissemination of news and information’. But there is good reason to believe that not only is this no more than superficially true in general, but that in a prolonged and worsening organic crisis it is more likely that the media will increasingly shed such a veneer and openly take sides. Any serious study of the mainstream media in Australia soon comes across the question of how much it lives up to liberal ideals of objectivity and newsgathering. Indeed, not only were most newspapers fiercely partisan for most of the last century, they were mostly hostile to the Labor side of politics. That may have shifted somewhat from the late 1960s, but it never changed the fact that, whether privately owned or state run, the mainstream media has always tended to present a view of society that overwhelmingly favours the interests the ruling elite, or at least important sections of it. This is not to say that the ruling class has produced a crude reflection of its interests through the media. Nothing could be further from the truth. For the media to have any ideological purchase in relation to the lived experience of a variety of social groups, it has to in part reflect that experience in order to then cement the status quo. Take an example from the liberal Fairfax organisation yesterday, an article on the Qantas pay dispute, ‘Qantas strike to hit more than 6000 passengers tomorrow’. There is no partisan political bias here and the tone of the article is not antagonistically arrayed against the unions. But notice the themes that immediately emerge. It is the union that is ‘refusing to call off’ a strike that is ‘set to cause major disruption for air passengers’, not the company refusing to back down on its lousy pay offer that will disrupt the livelihoods of thousands of its employees. Similarly, there is a presumption that ‘last minute talks’ would best end in a ‘resolution’ without considering that perhaps industrial action may be a good thing by putting workers in a stronger position. This frames some unremarkable quotes and paraphrases from company and union representatives, setting out both sides of the dispute, but then in case we missed the point about how terribly disruptive this will all be, the story helpfully lists the airports affected. I point to this article because it is a banal example of how most instances of industrial action are portrayed by the liberal media. Such a passive articulation of the elite view is practically ubiquitous, as if it represented some kind of neutrality. It remains completely unquestioned by Manne, who lets Fairfax and the ABC almost completely off the hook – as if their only error was not to take on Murdoch more openly. One attempt to come to terms with the roots of such systematic biases has been Chomsky and Herman’s ‘Propaganda Model’ of the private media. Rather than starting with the liberal ideal, they start from the material reality of most mass media in liberal democracies as large private businesses, and then identify five ‘filters’ that ensure these media remain deeply tied to powerful interests. Chomsky and Herman understand that making a buck is not just about advertising and sales (funding), but the maintenance of a social order where making a profit in the media is the preserve of a tiny, unaccountable corporate elite (ownership). Information gathering tends to rely on powerful sources such as corporate PR departments, cashed-up think tanks and government and/or state bureaucracies because of a confluence of economic necessity and reciprocity of interests (sourcing). 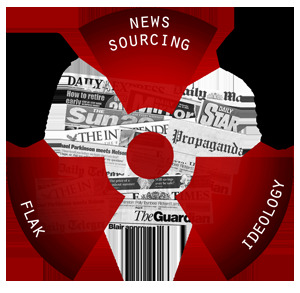 If a media organisation strays too far from acceptable views there are plenty of ways in which they can be put under pressure through public or more surreptitious campaigning (flak). Finally, media outlets tend to initiate or perpetuate campaigns against perceived enemies, external or internal, to bind ordinary media consumers to elite interests (fear). The Propaganda Model remains probably the most serious modern theory of the operations of the mass media in capitalist democracies. Its central features have yet to be seriously empirically challenged. However, one recent review has pointed to areas where the model could be strengthened to account for finer nuances. In particular it suggests incorporating elements accounting for: How economic competition creates divergent interests within the corporate elite (e.g. between polluters and others in the carbon tax debate); how the functioning of democracy means that there can be serious strategic differences over how the national state should be run (e.g. splits over the invasion of Iraq); how economic considerations mean that media outlets may have to find specific segments of the population to which to appeal (e.g. the Telegraph/SMH or Herald-Sun/Age demographic divisions); how the existence of strong state broadcasters ostensibly committed to ‘independence’ can shift the balance (e.g. the role of the ABC); how there can be conflicts of data provided by different sources (e.g. between different NGOs, corporations and think-tanks on environmental issues); and how the social position of journalists means they can fight back against the editorial line of their bosses (e.g. the newly asserted independence of Egyptian journalists). Such refinements help us understand how the media can be an instrument of elite rule and at the same time reflect tensions and contradictions that emerge, although still contained within a certain framework. They also help us understand that while we can take advantage of the splits within the mass media, unless we tear it from elite control it can never be ‘on our side’ or even ‘neutral’ in its functioning. It is here that we can more clearly see how Manne’s implicit liberal ideal cannot be obtained through either deftly crafted exposés like Bad News, nor through changes of editorial personnel or ownership. Murdoch’s media represents one wing of a wider network of institutional power, one that uses varying approaches to both sell its product and maintain those power relations. Because Manne cannot see the thoroughly material basis for the politics of these outlets, he resorts to a frankly unconvincing critique of ideas and people. Thus, when he lambasts The Australian for its promotion of climate denialists, he argues that it has ‘broken with the values lying at the very centre of the Enlightenment, namely Science and the authority of Reason’. Or when he describes the paper as ‘catalyst’ in the ousting of Kevin Rudd, he puts it down in part to a personal enmity between Mitchell and Rudd, and in part to the PM’s refusal to conform to ‘the neoconservative and neoliberal Murdoch house philosophy’. All these points are true, but they are merely surface phenomena of something else – Murdoch’s long-term project to use certain key outlets to influence the political class in favour of his interests. Manne correctly identifies that political class as the key target of The Australian yet, as Dunlop observes, fails to draw the conclusion that Murdoch may have pitched his product correctly to gain their ear and influence them so powerfully (if only to make them feel impotent to resist him). Perhaps The Oz is the paper this social layer wants and deserves. It is the growing disconnection of the political elite from any social base that has allowed Murdoch to play such a disproportionate role in influencing its ideas. Yet at the same time social trust in the media is at a very low ebb. Far from the media being ‘all powerful’, it is the perception that democratically elected governments are more answerable to corporate power than the popular will that reinforces Murdoch’s apparent power. The UK phone hacking scandal shows that when institutions are undermined by economic and political crisis, the most powerful can suddenly appear weak, divided and ineffectual. While one can agree with many (but not all) of Manne’s political positions throughout Bad News, his fundamental approach is of arguing for a more civil and constrained debate within elite circles, in contrast to the wars being waged by The Australian with hyperbole, invective and falsehoods. Yet, as I have previously argued at Left Flank, the incursion of extremist partisan rhetoric in the mainstream debate is the product of two inseparable developments: an almost complete convergence of policy within the political class, and at the same time growing economic and social polarisation, both key features of the neoliberal period. As austerity bites and greater resistance to the crisis emerges, we can expect such rhetoric and combativeness to increase rather than resolve. It’s war, after all. Murdoch and Mitchell’s strategy with The Australian has been to break from the niceties of liberalism and wage a hard Right campaign for what they want. In this they have both reflected and encouraged similar trends within the political class, perhaps most concentrated in the Coalition but hardly absent from Labor’s ranks. The veneer of ‘civility’ has been discarded as politicians and the media have gradually lost their institutional legitimacy. The great strength of Manne’s essay is how clearly he lays out the evidence of this process. Manne seems to believe that we’d have a better country if The Australian was somehow reined in, but this gets things the wrong way around. It is because things have gotten worse, and because elite hegemony has been unravelling, that we have been blessed with The Australian we have today. Better to stop obsessing about Murdoch’s apparent omnipotence and figure out how our side can more effectively prepare for the battles ahead. Co-incidentally, I’ve just been reading Alex Mitchell’s memoir about working as a journalist in Australia and Britain in the sixties. He says that, for a time, if you were a progressive reporter, Murdoch was the guy you wanted to work for, cos his papers were far more dynamic and far less stuffy than their rivals. I remember Fisk saying the same thing. I’ll try and find the link. Excellent piece, Tad. Thanks for reacquainting me with the Propaganda Model. Have you thought of submitting this piece, or a version of it, to Quarterly Essay for inclusion in the ‘Correspondence’ section of the next issue? I hadn’t. I presumed their filters would exclude me before I even tried? I hope not. I don’t have any insider knowledge, but they have published correspondence from people with impeccable left credentials in the past. Great piece, Dr Tad. You could argue, also, that a third driver in all this – alongside policy convergence in the political class and growing economic and social polarisation – is the creation and growth of informal networks through social media that are breaking down the effectiveness of old institutional structures. Thanks very much for your kind assessment of my piece. I have avoided talking about the impact of the social media because, while there is considerable novelty and utility in them, I think such technological advances only make an impact when they become part of new social relationships that emerge. That is, when people take them up as tools to be used in forging new social networks and activities. For people to do that they must first have a use for these new tools. That is why I stress the economic and political changes. I think these are driving a quest among many to seek new ways of gaining non-official knowledge and linking up with like-minded dissidents. The fact that capitalism’s production of new commodities like Twitter and Facebook has created a platform for dissent shouldn’t be confused with any innately revolutionary social quality to those media. But, my goodness, it is great fun to use these particular master’s tools as part of tearing down his house! Thanks for this – a useful expansion on the key point I was making in the Drum piece you mention. I also particularly like your Qantas example from the Fairfax press: a perfect example of why claims of them being ‘left-wing’ are so laughable and precisely the sort of wider analysis that Manne not only ignores but seems blind to. Also wanted to say that I agree with you about Manne’s excellent account of the way the Oz dealt with Larissa Behrendt. That section of his essay was the one real revelation to me, as I hadn’t followed the ‘story’ at all. Sick making. Thanks for that excellent post Dr Tad. I have a question, which may be more directed towards Jeff S, in that he writes fairly regular pieces on The Drum opposed to the war in Afghanistan, but which is perhaps relevant to this thread. Basically, at this point in the war, with another high level assassination of a member of the Karzai clique announced today, and yet there being no mass anti-war movement in the West, my question is why do the pro-war columnists bother making the case in the media for the war? I mean, both major parties are committed to the war and even the Greens are only opposed (AFAIK)to the presence of Australian troops and so with no anti-war movement, why do the pro-war pundits feel the need to argue for it? Who are they trying to convince? I think it’s a sign of how lacking in authority the political class is, and how much they know it. Afghanistan is another of those instances where the hegemonic view among the elite is not the hegemonic view in society. The Greens could be mobilising such opinion, but once they got their parliamentary debate they folded back into proving their “constructiveness” and ability to deliver “stability” to government (their words, not mine). This is one of the key features of the period (what some call “the crisis of political representation”) — the lack of a serious institutional channel for oppositional politics from below. My call is that at some point that will break out and cause great difficulties for the ruling class. In the meantime the pro-war people will keep trying to convince each other that they’re right to “stay the course”. Thank you for such an excellent and thoughtful piece. Ah yes, the much dismissed Propaganda Model along with the Frankfurt School, a political economy of media, Habermas and even Bourdieu’s theory of cultural field have much to tell us about the contemporary media landscape and the invisible structures and mechanisms that determine what becomes news and how that news is framed and reported. A great post – thank you! Thanks for the post, Tad. Good to see Overland as your publication vehicle of first resort on this occasion. As usual, your analysis is both comprehensive and lucidly expressed. The reference to the Propaganda Model introduces a valuable old chestnut to the debate and your argument widens the scope of the discussion. I note the way in which the comments thread explores the intimate relationship between the two driving forces of hegemony: persuasion and coercion. However, the problem I have with this post is related to these very same admirable qualities. As I have said, the revolutionary Left’s rhetorical credentials are of a very high order. The collective capacity of Left intellectuals to muster a fabulous range of informed opinion and speculation cannot be disputed. The pity of it is that this capacity consistently fails to convert to anything of much use to the cause of substantive political change. The reach of the revolutionary Left is severely truncated by its own intelligence. The quibbling over the Manne essay is a good exmaple of this syndrome. Here we have a leading Left intellectual, albeit one of the reformist persuasion, who has produced a detailed, forensic analysis of one of the bastions of Australian political influence and, in doing so, has exposed, indisputably, not only the entrenched bias but also the willful exercise of manipulation to determine the way in which a nation(s) is governed. I note that both you and Tim Dunlop acknowledge Manne’s achievement in this regard. However, your charge that Manne does not go far enough in his analysis is, I think, rather naive. Given his credentials and track record as a political scientist and public intellectual it is patently obvious that Manne could have chosen to apply Marxian theory to his argument. The fact that he did not reflects, perhaps, both the scope of his political persuasion but also the nature of the publication he is writing in and the profile of its readership. Manne has constructed an argument within the editorial frame of the publication and, I would suggest, one which does a considerable service to its readership. It is naive to accuse Manne of not going far enough in this context. Furthermore, it is indicative of the ineffectiveness of the intellectual, revolutionary Left as a political force, happy to sit astride its high horse and snipe at the Greens, centre-left reformists and ‘liberals’ who have actually managed to build a grassroots political movement and steer it to a position of considerable political influence across the nation. I say this in the knowledge of your history with the Greens. By contrast, the intellectual, revolutionary Left appears content to take cover in the opinion pages and blogs, seemingly incapable of converting its considerable energy and smarts into political action through, for example, the building of alliances based on points of common ground. When the revolutionary Left has made up as much ground as the Greens perhaps more people will have the benefit of its collective wisdom. I see very little evidence of that shift at this point. At a time when the working class is rapidly being drawn to the Right I think the revolutionary Left has a lot to answer for because it has effectively abandoned the very class which it is ostensibly serving. When it comes to stump speeches the revolutionary Left does them well. But stump speeches are no substitute for constructive political action. Sometimes I wonder if those on the revolutionary Left have any real notion of working class culture and values. If they do, surely it is time to demonstrate it because it is there that the Right’s power base is being consolidated. So, it’s not that I don’t appreciate what you do. It’s just that I think it doesn’t go far enough in its efforts to be constructive. Having said that, I feel I’ve wasted my time because I am certain you will respond with a pithy, well-reasoned argument that will only prove my point. I appreciate where you’re coming from and I agree that sideline carping is not very useful. At the same time, precisely because the Left is so weak and so marginal, ideas are more important than ever. That’s why it seems to me entirely legitimate to question the theoretical basis of an argument in the way Tad has done. In any case, I’m skeptical about tailoring analyses to what we think a particular audience is willing to accept. Partly, as Flannery O’Connor says somewhere, the truth doesn’t change according to our ability to accept it. But more than that, surely the goal of the Left is to not accept the limits of what’s currently politically possible, and to instead try to push debates further. Otherwise you end up where the ALP is now, using focus groups and the rest of it to determine exactly what it is that you stand for. Boris, since you were asking, I stopped beating my wife late last year. Dr_Tad, Wife abuse jokes are neither funny nor intellectually clever. It’s not a joke about wife abuse. In fact, it’s not a joke. Look, I’m sorry, I’ll explain. There’s a very unfunny (although very ironic & bitter) riposte to being asked to answer a question which there is no way of answering without being exposed: “That’s like asking me when I stopped beating my wife”. I feel Boris is asking that kind of question of those of us who he identifies as the revolutionary Left. When Anna Bligh launched herself on a media crusade this week with her reknown announceables and ethical attack on a former duntroon graduated officer (campbell newman), I feel disturbed that Ms Bligh is attemtping to block real news from reaching the public by attempting to call the ethically reknown duntroon military college into disrepute…. Why is Anna bligh trying to dominate the front page with dribble about campbell newman? what is she hiding? what embarassing conclusions were made by the flood inquiry and were released this week?? Why is Ms Anna Bligh shunning rationalism?? When madonna king got shown the door this week, i feel concerned that the tide has turned on non-rational, poltically biased, left wing ABC propaganda agents..perhaps its time to excercise caution and be more open with your bias Tad? Swinging voter, I actually oppose state censorship of the private corporate media. Such regulatory frameworks invariably hit small, independent media far harder than they do the big players precisely because the big players are powerful and generally uphold dominant power relations in society; something the state is in the business of doing also. The point of my article was to show that you don’t need censorship to “enforce propaganda” — it works through the “filters” that Chomsky and Herman describe. All the mainstream news outlets carry pro-capitalist propaganda all the time. It looks less like propaganda in part because the state doesn’t have to mandate it. You say, “perhaps its time to exercise caution and be more open with your bias Tad?”. I’m not sure how much more open I can be, having started with a quote from Karl Marx! 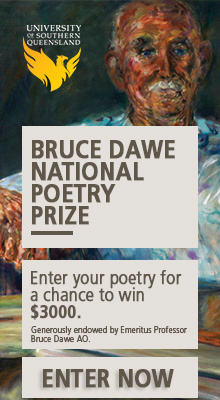 Pingback: Robert Manne and the Australian | Me fail? I fly! Politicians will always try to dominate the front page, flood the media with their message and set the news agenda – one way of protecting against that is a diverse media. In Australia, where 70 per cent of newspapers are owned by Murdoch, diversity exists in name only. As for the ABC it has been so neutered by political interference from both sides of politics – though no more so than during the Howard years – lack of funding, pursuit of ratings and commercialisation, it no longer provides the balance it once did. And while I’m speaking about political interference in the ABC, imagine if Murdoch publications were made accountable in the same way the ABC was during its reporting of the Iraq war. So, I wouldn’t kid myself that propaganda only occurs in communist countries, it’s alive and well in modern democracies. Ever since I read this a couple of days ago I’ve felt like posting a “guess what I was reading last week” post because it just so happens that, around about the time you posted this, I was in the reading room of the National Library reading letters written by Keith Murdoch to Billy Hughes during the Great War. The only thing that stopped me posting immediately was a concern that I would be mistaken for arguing that there is something exceptional about the phenomenon of Murdoch, and I agree pretty much with your analysis and with your criticisms of Manne’s approach. The letters from the elder Murdoch to Hughes reveal a chilling Faustian moment as the young Keith seizes the moment of the war and the conscription crisis to make his personal fortune and connections to power. He flatters Hughes, begs for assistance with buiding up the news cable business he’s running and for introductions to the powerful. He boasts of the connections he’s gained and regails Hughes with gossip, and glories in his new found wealth, in the fancy cigarette case Hughes sent him and the valet he can now afford. Now to tell this story, which appears to have more in keeping with the plot of the Godfather than with real history, would appear to only reinforce the idea, that Manne and other liberal critics of Murdoch hold, that there is something exceptional about Murdoch (or in this case the Murdoch clan) – that he is an exception, a sort of hobgoblin haunting the media. But there’s another way of understanding the personal tale of corruption (and by the way I can recommend Geoffrey Serle’s excellent summary of Keith’s career in the ADB if you want the full story) which has to do with the interconnections of power and capital which Keith’s journey from suburban journalist to proprietor reveal. It’s a bit like how the revelations about the Chipping Norton Set have exposed the reality of class and power in Britain. In Britain now, largely due to the revelations about Murdoch and the connections between editors police and politicians, it is simply common sense to use the term “ruling class”. We might quibble about the fact that it is understood more as a sociological category rather than something that is defined by an economic relationship, but this is clearly a step forward. Two years can be a long time in journalistic downturn (jobwise and ethics ala phone hacking under Murdoch which he escaped scot-free) as well as media nonregulation and misgovernance at the political level. I wonder if the “optimistic spin” on things back in 2011 still holds today ? How interesting that Patricia Karvelas is described as a ‘former Leftist’, when others have described her as either being of the Right – her time at the Oz would confirm this – or even as a former Young Liberal. I wonder where the truth lies. She was well known as a radical feminist student activist in Melbourne, before the start of her journalistic career.